Job Profile: Counsellor Jan 27, 2015 Counsellors are individuals, professionally qualified or not, who provide help to people in overcoming psychological difficulties and the problems in their live.. Advice Giving vs Counselling Skills Feb 13, 2018 In TV dramas, we often watch scenes in which a troubled person is being counselled. Often, the counsellor is seen as a person who makes in-depth observations of.. Thank you for your question. You can access your course materials on iphone, smartphone, ipad, tablet, laptop, and desktop devices. Google and other ISPs no longer support Flash Player, so the self assessment part of each lessons are completed through our cloud based learning platform. Level 3 Counselling Skills I course online. 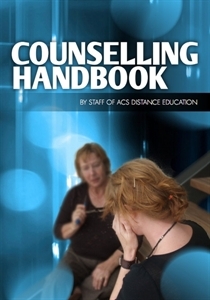 Gain basic counselling skills. Develop your ability to support or counsel others through the processes of personal growth and change. This course introduces you to the kinds of problems and issues that a person might face in overcoming stresses and limiting attitudes. Learn about the counsellor's role and the counselling process, and gain basic practical counselling skills. Recommended for parents, teachers and others who want to communicate in a more supportive, empathetic manner. The role of the counsellor is to facilitate the personâs resolution of these issues, whilst respect their values, personal resources, culture and capacity for choice. Counselling can provide people with a regular time and space to talk about their problems and explore difficult feelings in a confidential and dependable environment. Counsellors do not usually offer advice, but instead give insight into the clients' feelings and behaviour and help the client change their behaviour if necessary. They do this by listening to what the client has to say and commenting on it from a professional perspective. Counselling covers a wide spectrum from the highly trained counsellor to some one who uses counselling skills as part of their leadership role or career, for example, a nurse, youth leader, personal trainer or teacher. Identify the counsellorâs primary role (in a generic sense). Report on the discussion of a minor problem with an anonymous person experiencing that problem. Demonstrate/observe varying responses to a variety of closed and open questions in a simulated counselling situation. Evaluate your use of open and closed questions in a counselling role play. Explain the importance of avoiding questions beginning with why in counselling. Explain how the application of different micro-skills would be useful in counselling in observed communication (written or oral). Show how reframing can be used to change a clients' perspective on things. Develop a method for identifying the existence of self-destructive beliefs (SDBs). Identify self-destructive beliefs (SDBs) amongst individuals within a group. List methods that can be used to challenge SDBs. Determine and evaluate optional responses to different dilemmas. Explain how the âcircle of awarenessâ can be applied to assist a client, in a case study. Explain why psychological blockages may arise, and how a counsellor might help a client overcome them. Describe the process through which a counsellor would take a client to reach a desired goal, in a case study. Demonstrate dangers posed by client-counsellor inter-dependency, and how dependency can be addressed. Many people use counselling skills in their daily lives. However, sometimes it may be inappropriate for people to use their usual methods of support. They may not want to discuss their problems with a friend or family member. They may feel that the person is too close, that they donât want them to know their confidential problems or the person they would usually confide in might be part of the problem. Counsellors are trained to be effective helpers in difficult or sensitive situations. They should be independent, neutral and professional, as well as respecting our privacy. Counselling can help people to clarify their problems, identify changes they would like to make, get a fresh perspective, consider other options and look at the impact that life events have made on their emotional well-being. Empathy is the ability to understand someone else’s point of view and to share their emotions, almost “to stand in their shoes”. Empathy is a centrally important ingredient of any therapeutic situation. Without empathy, the client is unlikely to trust the therapist, and without trust, will be unlikely to explore deeper levels of problems and effect changes. To practice empathy, a therapist must continually be in touch with the client’s feelings and values, without intruding their own set of values. The therapist must in a sense imagine being in the "client’s shoes". Part of empathy is the practice of reflection. He makes me mad. I just want to lash out at him. You feel angry and frustrated. It’s confusing for you and you don't know how to end the frustration. One might ask why reflection can help a person -the therapist doesn't appear to be adding anything to the clients understanding. The client however, in this way learns to accept their feelings. They then find it easier to express their feelings. They are making sense of a confused world through verbal articulation. All of these factors form a basis for problem solving. Although the concept of transference originated in psychoanalysis, it has been proved to be of profound relevance to any therapeutic situation. I don't know what's wrong with you today. You're not listening to my silly problems. You're mistaken about that. I'm listening very closely. I begin to feel that someone at home perhaps, hasn't been listening to you. Is that so? Transference can be a positive key to finding out what the client’s central hidden problems are. A client cannot openly admit anger to her husband, who perhaps doesn't even know that she is angry; but she might project those feelings onto the therapist. The use of empathy or reflection might be referred to as a non directive approach. Here the therapist is not actively leading the client to a solution. This is a necessary part of therapy as it guides the client to learn to express his/her hidden feelings. Once the client’s world is opened to the therapist willingly, and the client has trust in the therapist, then a more directive technique can be used. Introducing the client to open ended questions which require a greater level of trust & honesty. E.g. Why do you stay with your husband when he hurts you so much? Instead of merely reflecting the client’s feelings, an element of interpretation is added. This is not to say that you will take wild guesses. Your interpretation of the client’s verbalisation must be grounded in your knowledge of their feelings and attitudes. Greater Intervention as regards the direction of discussion. Often when the client has revealed a greater part of his/her experiences in therapy, a new level of defensiveness sets in, and the client might experience mental blocks. The basic assumption of behavioural therapy is that maladaptive behaviour is a learned way of coping with stress, and that these learned behaviours can be unlearned and replaced with more efficient forms of behaviour. According to the behaviourists, it is not enough to simply change a person’s attitude in therapy, for even if one develops healthier mental attitudes, one’s behaviour does not necessarily change. I might develop the attitude that violence and aggression are abhorrent and counter productive ways of dealing with stress, yet as soon as I am stressed I might still automatically have violent outbursts. The behaviourist’s main aim therefore is to modify behaviour through therapy. This is a method used to eliminate fears and phobias. The individual is taught that they cannot be anxious and relaxed at the same time. Relaxation training is provided and then used by the client whenever they encounter stress. Smaller fears are eliminated before greater fears are tackled. Both relaxation and assertive training are practiced in a therapeutic situation, and then the client is encouraged to employ the learned methods on his/her own, in real life situations. Role modelling is a particularly important therapeutic tool in this respect (e.g. If a client is having problems with the boss at work; the therapist may pretend to be the boss in a work situation and ask the client to act out the situation in his own role as if he were at work. Full of interesting case studies, this ebook is a wonderful introduction to the complex world of the human psyche. Expand your mind and learn about what makes people tick.